Movers in California | Moving company for in & out of CA! Moving California offers all your moving needs from one location--your one California mover! 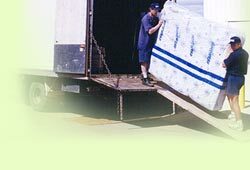 Local movers specialize in all kinds of moves within the state in California. We are known as the best California movers. We cover the major areas of California including Los Angeles, San Diego, Sacramento, San Francisco, and Oakland. (Click here to request a move quote) We handle all kinds of moves including long distance California movers, automotive car moves, international moves, "you pack, they move" services, even do-it-yourself move help! In addition to our great services we offer as a moving company, we also offer various informaiton in our website including moving guides, information about storage and supplies, and do-it-yourself guides. So, no matter what sort of moving you are doing in California or leaving California, Moving California has the solution to make that long-awaited California move as quick and simple as possible. We offer low prices and our information for your California move is always free! Contact us for the best, most reliable, and caring movers in the great state of California!